"Bringing the Aquarium Store to Your Door"
When the fishguy is maintaining your aquarium count on us to provide all the products you will need to keep your aquarium looking beautiful. This includes, fish, corals, and name brand quality products. No need to worry about having to run to the pet store yourself! At the Fish Guy we take pride in our service prorams. We can make fish keeping fun and exciting and an intergrated part of your family or business. We are fully insured, licensed and even vendor approved by Manatee & Sarasota School Boards. We have been servicing Manatee & Sarasota Counties for over 18 years. 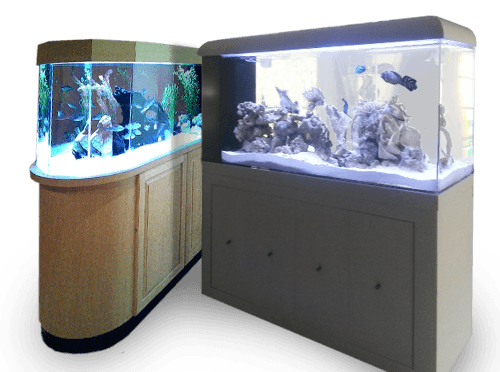 We can help you create the aquarium of your dreams! Something custom, or anything available on the market.